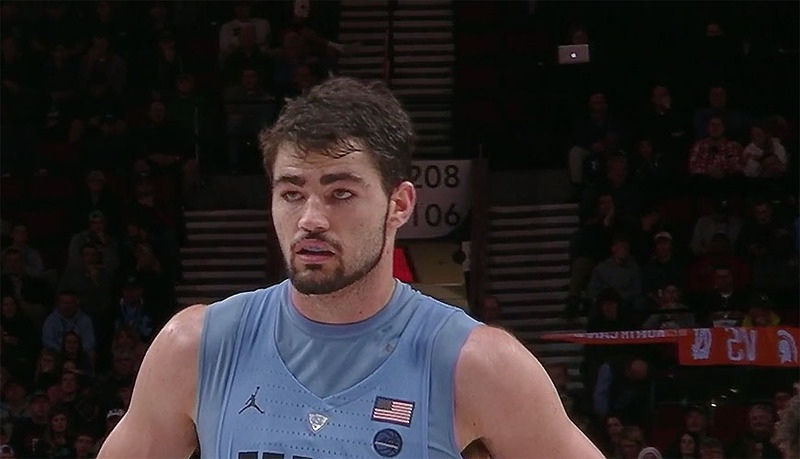 CHAPEL HILL, N.C., Sporting Alert – Luke Maye recorded a double-double with 12 points and 12 rebounds and No. 11 North Carolina beat Western Carolina 104-61 on Wednesday night. Maye, who shot 5 of 7 from the floor, including a pair of 3-point shots, also had five assists for the Tar Heels (9-1), who made a season-high 16 3-pointers and used a 20-0 run to dominate the first half. Freshman Jalek Felton had 15 points and five assists, Kenny Williams scored 12 points, while Joel Berry II had 12 and Brandon Robinson finished with 10 for North Carolina, which has now won 23 consecutive home games. Deriece Parks scored 13 points with seven rebounds for Western Carolina, while Marc Gosselin ended with 10 points for the Catamounts (3-7), who started brightly, but missed 16 of 17 shots during a scoring drought that allowed the defending national champions to take over the contest. The Tar Heels, who had six players scoring in double figures, led 33-8 with 7:12 left in the first half before taking a 53-26 lead into the interval. North Carolina shot 57 percent and had 31 assists on 37 made field goals. UNC dominated the rebounding contest 53-25. Western Carolina hosts Southern Wesleyan on Friday. North Carolina will be off for 11 days until its trip to No. 24 Tennessee on Dec. 17.